If you have a pulse, these statistics should upset you. If you are parent, they probably make you throw up in your mouth in disgust. I learned these statistics about child sexual abuse over five years ago when living in Pennsylvania. I had an opportunity to visit the Child Advocacy Center in Scranton, Pennsylvania where I was exposed to the truths of sexual abuse. As a parent, I became very aware of the threat for my children. Most abuse happens by relatives, parents of friends, and other children. When you put that into perspective you really start to think about your daughters and sleep-overs with friends. I know that we did. We started asking questions, making an effort to get to know parents, and agreeing to host more sleep-overs at our house. We made the safety of our children a priority. This week I learned that we have an advocacy center here in Fort Wayne. The Dr. Bill Lewis Center for Children is a nationally accredited nonprofit organization that offers children who are victims of alleged sexual abuse a safe, neutral place to talk. A team of professionals use a standardized interview process that eliminates the need for multiple interviews of the child. The child-friendly forensic interview is watched, and recorded, by a cross-functional team made up of law enforcement, child abuse advocates, the Department of Child Services, the Fort Wayne Sexual Assault Center, and someone from the Prosecuting Attorney’s Office. One conversation with the child keeps him or her from having to relive the trauma through multiple conversations. This one interview helps to prosecute the perpetrator because the child’s story is told once versus multiple times in which the details might change. This single interview also helps to exonerate the falsely accused. In the end, a solid, reliable testimony is obtained which can reduce the risk of future harm to child. The Lewis Center for Children is a small nonprofit organization with only a few paid employees. They rely heavily on private/corporate donations and fundraisers. 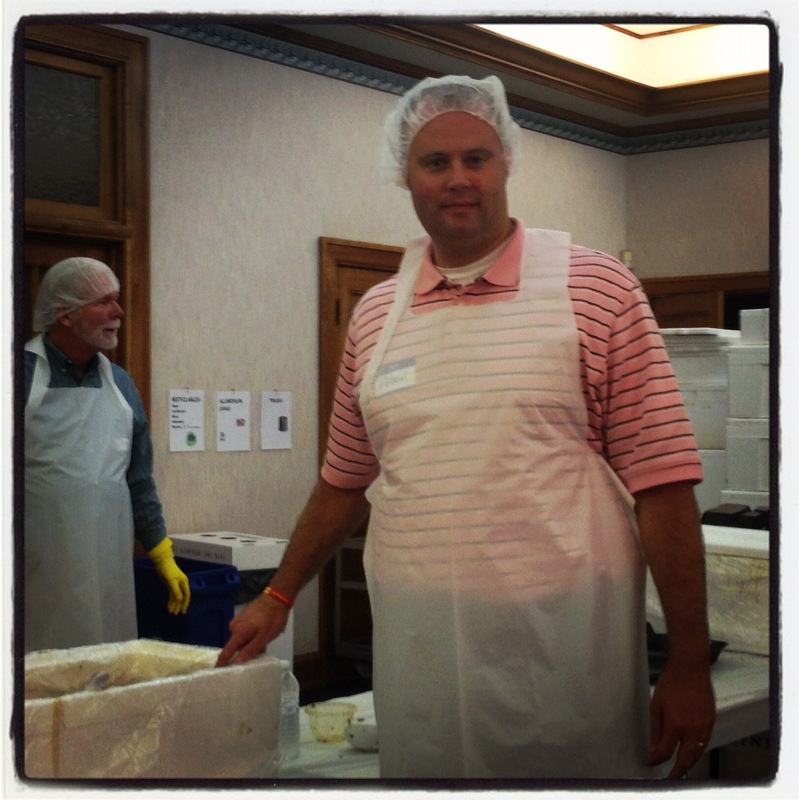 This week I had the opportunity to volunteer during the Nelson’s Chicken fundraiser. For $9, members of the community could order a half-chicken, potatoes, green beans, and roll. All of the proceeds raised benefit the center. All orders were pre-ordered and a group of volunteers assembled at the Plymouth Congregational Church to put the meals together and deliver them to individuals and companies in Fort Wayne. My job was to participate in the assembly line approach to building the meal. I was responsible for green beans and coleslaw. For two hours, I scooped sides and placed them in the container before passing it down the line. It was that easy. I even had the opportunity to wear an awesome apron and cool head-gear. It was a great experience for a great cause. This week’s experience was another example of just how easy it is to get involved in your community. You do not have to make a 52 week commitment. You do not have to give up your life. You do not even need to have specific skills. You just have to be willing to give up a little bit of your time. You, just like me, can scoop food. 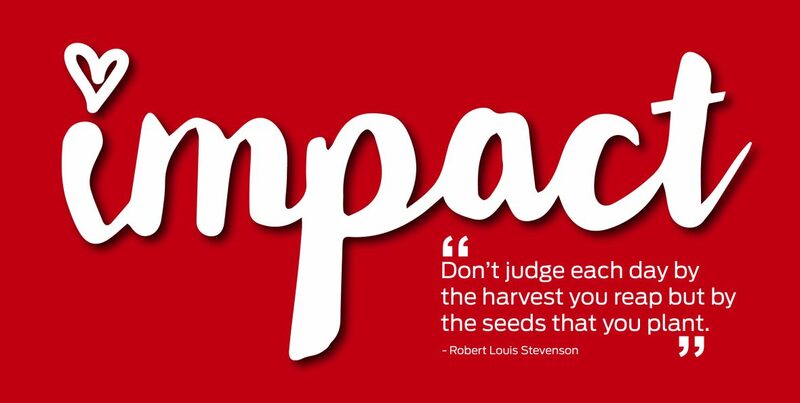 By doing so, you can help children in your area that are victims of sexual abuse. Do something! Don’t be afraid to engage in conversations about child abuse. We ALL must do our part to protect the innocent. We must protect the children!